This book presents eight reflections on the current state of the university around the world, the problems facing it as an educational institution and the challenges it must address in a changing society, where the arrival of new information and communication technologies (ICTs) has had an immense impact. On these pages, rectors and directors from universities in different countries (Canada, Morocco, the United Kingdom, Spain, Israel, Portugal, Mexico) attempt to analyze the current problems confronting the university and propose new strategies regarding syllabus design, local and global problems, reforms implemented in recent years and the viability of educational models in an ever more globalized society. 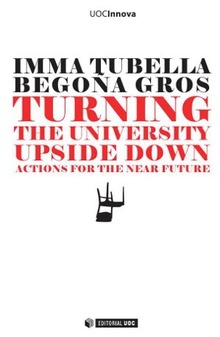 Turning the university upside down: actions for the near future aims to offer clear answers to many of the questions facing the university today, offering guidelines it is hoped will contribute to designing an agenda for action that will allow university education to improve in the very near future.